What does sexual health mean to you? How is sexual health important in your life? What do you need to feel supported in making decisions about your sexual health? Who inspires you to make healthy decisions? 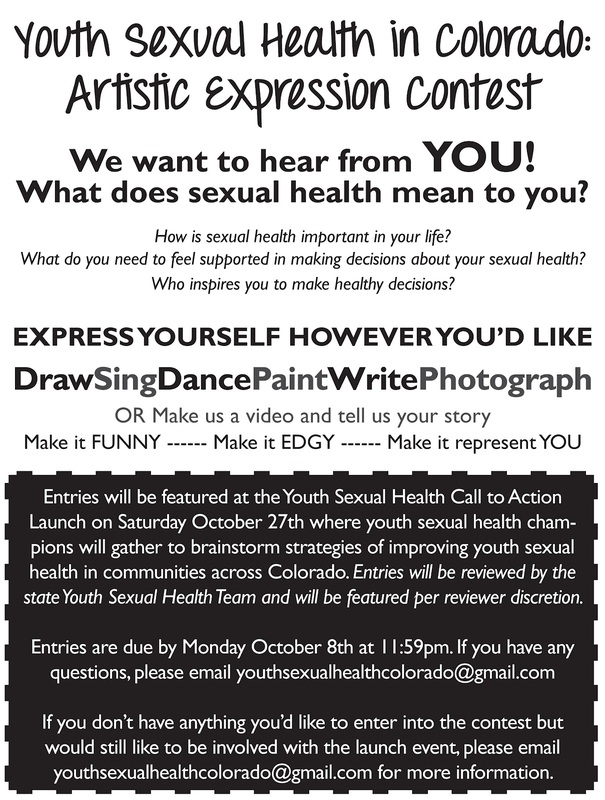 Entries will be featured at the Youth Sexual Health Call to Action Launch on Saturday October 27th where youth sexual health champions will gather to brainstorm strategies of improving youth sexual health in communities across Colorado. Entries will be reviewed by the state Youth Sexual Health Team and will be featured per reviewer discretion. Entries are due by Monday October 8th at 11:59pm. 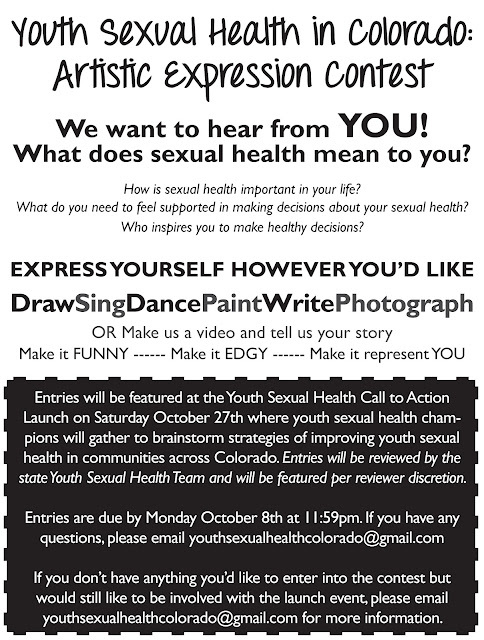 If you have any questions, please email youthsexualhealthcolorado@gmail.com If you don’t have anything you’d like to enter into the contest but would still like to be involved with the launch event, please email youthsexualhealthcolorado@gmail.com for more information.